Upload any audio or video file. Review your transcript with timestamps and speakers. MS Word, PDF, SRT, VTT and more. 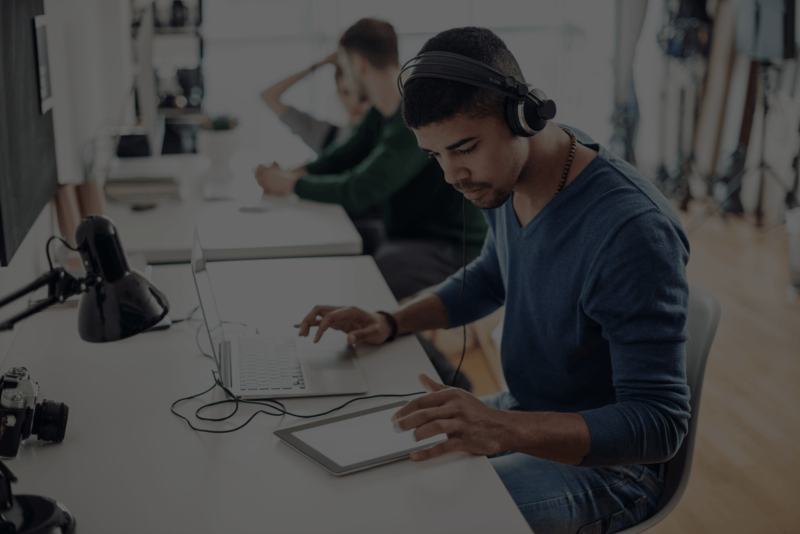 Temi's free transcription editor lets you edit your transcripts online in minutes. Built by our machine learning and speech recognition experts. Quickly clean-up the provided transcript. Adjust the playback speed and skip around easily. Temi knows the timing of every word. Add any timestamps. We mark the change of every speaker and label them. Download your transcript into text (MS Word, PDF) or closed caption files (SRT, VTT). "Temi is a game-changer for journalists. It saved me countless hours transcribing interviews." "We use Temi to create a fast, searchable record of all our client interactions." "I get a draft in minutes! 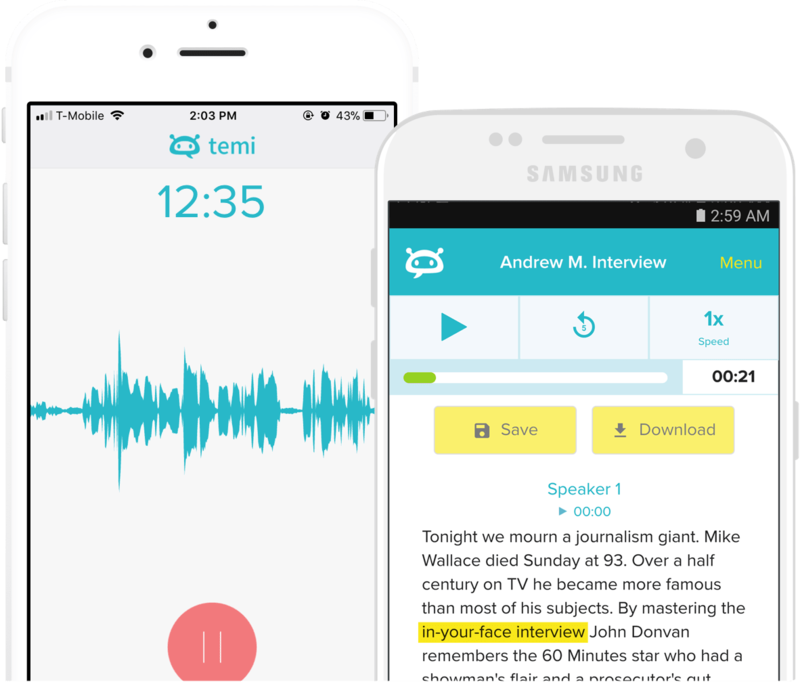 Temi saves me hours transcribing written stories and podcasts." Transcripts in minutes, delivered to your email.